Te invito a conocer a Jesús a través de las escrituras de la Biblia, el Catecismo de la Iglesia Católica y de la meditación de los escritos de los santos y de los doctores de la iglesia. Jueves de 12:30 a 2:30 PM. En el Salón 205. EL CAMINO es un grupo donde podrás redescubrir, crecer y fortalecer tu Fé en un ambiente amigable, respetuoso, sin presiones, que responde a la Nueva Evangelización a la que nos invitan San Juan Pablo II y el Papa Benedicto XVI; con un programa totalmente nuevo, dinámico y actual, especialmente diseñado para ti! Además de las clases semanales, periódicamente realizamos servicios comunitarios en familia, tenemos conferencias, asistimos a actividades religiosas especiales en grupo y participamos en retiros. EL CAMINO siempre tiene abiertas sus puertas para ti! Jueves, 7:00 -9:00 PM. Salón AMR. 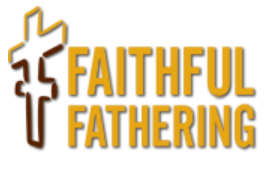 Faithful Fathering encourages and equips dads to be faithful fathers. A faithful father prioritizes his physical presence, is engaged emotionally and leads spiritually by example. The ministry includes flexible, community-group based programs for dads, as well as service and social activities that involve the entire family. St. Anne’s Society encourages all women blessed with the gift of motherhood to fulfill their vocation with the dignity, humility, and love of St. Anne, the mother of Mary. Our organization offers the opportunity to belong to a group of women, connected by their beliefs, and focused on spiritual, social, and educational growth through monthly meetings, philanthropic events, and planned programs. Meetings are generally on the first Monday of the month, with both morning and evening options available. We look forward to meeting you! St. Monica’s Society is for mothers of school age children. It is a ministry about women who come together to share the joys and struggles of motherhood and learn more about how to apply their Catholic faith to their vocation. St. Monica’s Society holds weekly Friday Meetings at noon. That Man is You! is an interactive men’s program from Paradisus Dei, focused on the development of men in the modern world. TMIY combines the best research from science with the teachings of the Catholic faith. It builds upon the wisdom of the saints to develop the vision of authentic men capable of transforming themselves, their families and greater society. TMIY meets Friday Mornings. Young Adult Ministry is a community-based group where you can connect with one another while taking your faith to a deeper level. Check out the Facebook page to join a group and get updates on events. The Cornerstone Catholic Scripture Study is designed for Life Application of God’s Word, no matter where we are on our faith walk. Studying scripture enables members to build, strengthen and deepen their relationship with God and His people through the sharing and transforming of hearts and lives with each other. This year (2018-19) we will be studying the Book of Revelation. Classes are offered on Monday evenings or Wednesday mornings. Estudio diseñado para conectar la Palabra de Dios con la vida, sin importar dónde estemos en nuestro camino de fe. Grupos y lecciones en español comenzando el miércoles 12 de septiembre en el salón 205 con el estudio del Libro del Apocalipsis. Este curso tiene cómo objetivo guiar y acompañar al participante en el proceso de la Oración, a fin fortalecer y mejorar su relación personal con Dios a través de una comunicación más profunda, sincera y constante con El; meditando a la vez, los tesoros que se derraman del Sagrado Corazon de Jesús para cada uno de nosotros. Martes, 10:00 – 12:00 p.m., salón 204. Walking With Purpose is a bible study for women that aims to bring women to a deeper personal relationship with Jesus Christ by offering personal study and small group discussions that link our everyday challenges with the solutions given to us through the teachings of Christ and the Roman Catholic Church. Starting March 8th for 5 weeks. Cost is $25. Christ gave us the gift of the radical newness of life through his grace. How to live that life amid a post-Christian culture is the subject of a brand new course: The New Way. Brian Jones, Coordinator of Liturgy, will be leading this weekly course. He will walk us through the timeless wisdom of the Church in both founding principles of Christian Life and applying it to the hot topics of our day. Starting on January 10th at 7 PM in Room 205. No registration necessary. Deacon Rick will do a special Lenten Series this Spring. The class is offered March 19, 26, and April 2 at 8:00 am and 6:00 pm on Tuesdays in Room 205 of the Parish Life Building. No registration necessary, All are welcome! ¿Quién dijo que seguir a Cristo es aburrido y que es solo para algunos? Join thousands of people around the world who have discovered the biblical and commonsense logic of finances through America’s number one voice in personal finance, Dave Ramsey! These nine lessons will teach you to get out of debt the same way you learned to walk-one step at a time. The Next Session Begins on January 13th, 2019. Learn how to express heartfelt commitment to your spouse! Gary Chapman uses real-life examples to illustrate the five distinct languages people use to express love. You’ll understand why you feel the way you do, and you’ll acquire indispensable methods for helping your spouse feel loved. Visit the Marriage Enrichment Calendar for more details and session dates and times. The next session will begin Fall 2019. Inclusion is for baptized non-Catholics who identify themselves as followers or disciples of Jesus Christ, and have done so as adult Christians. If you were raised and baptized in a Christian community and you desire the fullness of the Catholic Church, then Inclusion is for you. Through our evening sessions , we walk the path of Christian discipleship, learning what it means to be a committed follower of Jesus Christ. Inclusion connects people who are inquiring about Christ and His Catholic Church. We follow a friendly small group model. No question or objection is off limits because we want you to be free to explore your own faith as well as the gospel in a non-argumentative, casual environment. Inclusion lasts for 10 Tuesday evening sessions. Each session is 75 minutes long and is broken up into a teaching component and discussion components, giving you plenty of time to voice your viewpoint and get your questions answered. What if I haven’t been baptized, or been in a Church in years? If you have not been baptized, or you were baptized as a child but never grew up in a Christian setting or family, then you should head over to our Baptism for Adults page. Inclusion is a heavily modified and tailored version of the RCIA for baptized candidates. (LTMTP) is a three-part prayer series, rooted in Ignatian spirituality. It helps deepen prayer life and offers ways to overcome dryness and obstacles in prayer. It also introduces the different methods of Ignatian prayer: meditation, contemplation, and Consciousness Examen. It is a 2 – part program. Each part consists of a small group that meets with a trained facilitator for 1-2 hours once a week for prayer and faith sharing. The Natural Family Planning ministry helps couples to live the beauty of the Catholic Church’s teaching on marriage and family life. NFP is a method of family planning that is in accordance with Catholic Church teaching and can be used to achieve, avoid, or postpone pregnancy. SEÑOR, ENSEÑAME A REZAR, Parte 1 : “Orando sobre las Virtudes Cristianas” para mujeres en Español se ofrecerá los jueves a las 10:00 a.m., comenzando el 13 de septiembre en la iglesia St. Anthony of Padua en el salón 204. SEÑOR, ENSEÑAME A REZAR, Parte 2 : “Mi Anotación 19″ para mujeres en Español se ofrecerá los viernes a las 10:00 a.m., comenzando el 14 de septiembre en St. Anthony of Padua en el salón 202. Según el método del Padre Ignacio Larrañaga. Es un servicio que te ayuda a : Aumentar tu relación con Dios, aprendiendo y profundizando en el arte de orar. Afianzarte en la fe para superar angustias y ansiedades, miedos y tristezas, recuperando la paz interior y la alegría de vivir. Dar sentido y eficacia a tu labor apostólica. After reviewing the evaluation and in an ongoing effort to better meet the needs of parishes, the Presbyteral Council recommended that we move forward with a new on-line training program called The CMG Connect Safe Environment Program. This program provides informed quality training and content, current best practices, advanced compliance technology, and is user friendly. Beginning January 1, 2019, The CMG Connect Safe Environment program will be used by all clergy, religious, deacons, employees, volunteers, and groups in the Archdiocese of Galveston-Houston. The Archdiocese of Galveston Houston has replaced VIRTUS with The CMG Safe Haven online training program. This training consists of 3 vignette style training videos that is approximately 90 minutes and will include a criminal background check that must be completed. These trainings are available in English and Spanish. The Diocese will no longer offer live trainings, all Safe Environment trainings will only be available online. If you are over 18 and volunteer in a ministry that interacts with minors you should take the online course. How do I access the training modules? • If you have a VIRTUS account: Log into www.CMGConnect.org with your previous personal VIRTUS user id and 1234 as the password. Once logged in you will have the ability to change your password. This is recommended. • If you do not have a VIRTUS account: Log into www.CMGConnect.org, and follow the instructions. Note: Your legal name (on your driver’s license/passport) is the name that one needs to use when registering. Not doing so may prohibit your information from being processed. How often do I need to take the training? • If you have been VIRTUS trained in the past your information has been imported to CMGConnect. Please log in to www.CMGConnect.org using the instructions above to verify that all your information is accurate, and you are up to date in your trainings. • If you are not in compliance the program will direct you to the training sessions you are required to take. You will be required to take the training every 5 years. Please make sure your email address stays up to date at the CMGConnect website since this is how training notifications will be sent. Any questions can be directed to your staff ministry lead. If you are having a problem accessing your account information you can contact our Safe Environment Coordinators. When we were first praying and designing the Encounter Houston Conference, we knew that it had to be different, it had to be attractive, it had to be truly life giving. What we came up with over the past two years honestly looks more like a party or a vacation than your typical Catholic conference. For a venue, we chose a resort… downtown… with a Texas-shaped lazy river. For a ministry team, we chose those who would ignite joy in our hearts, rather than shame. For a schedule, we think that relaxation and rest is paramount, and is actually more important to the soul, than a day packed full of head knowledge and content. For more information about ACTS Missions visit actsmissions.org or contact our parish team. For Men’s Ministry information contact Buddy Schnell at wes5257@yahoo.com and Women’s Ministry information contact Judy Martin at judithmartin26@gmail.com. This year’s theme is “At the Name of Jesus: A Holy Name Retreat.” Of all possible themes, why a retreat on the Holy Name of Jesus? Those close to the Passionists know that our Founder, St. Paul of the Cross, enjoined his vowed religious to recite the following passage every time they gather for communal prayer: “At the Name of Jesus Every knee must bend In the heavens, on earth and under the earth And every tongue proclaim, To the glory of God the Father, that Jesus Christ is Lord.” Join us on retreat and discover what it means to love not just the place but “the Name above all names” and where Christ, in His love, leads each of us along the road to holiness. Private accommodations and meals are included. A weekend to explore, rediscover, and reconnect with your spouse. Each participant explores their relationship with each other, their spouse, and their family. The weekend format helps couples communicate openly and honestly, without any group sharing, or marriage counselling. It is meant to help you simply rediscover the joy of marriage. St Anthony of Padua parishioners looking to go on a pilgrimage can usually find group tours sponsored by third-party organizations. While the parish does not put these trips together, we do advertise them so you may fellowship with other parishioners.